Bike Hire at Thornes Park Athletics Stadium01924 302385work Cycle HireEnjoy hiring a bike at Thornes Park Stadium and excerise around the track and stadium. Bike hire is by the hour at £2. 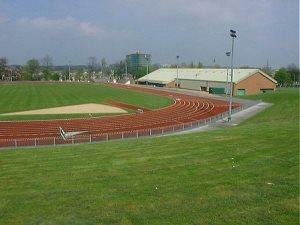 Enjoy hiring a bike at Thornes Park Stadium and excerise around the track and stadium. Adult mountain bikes, ladies bikes and a small number of children's bikes are available for hire including toddler trailers and adapted bikes for disabled use. Bus route: 126/127/231/232 from Wakefield/ Dewsbury Bus Station get off outside The Parklands Hotel.